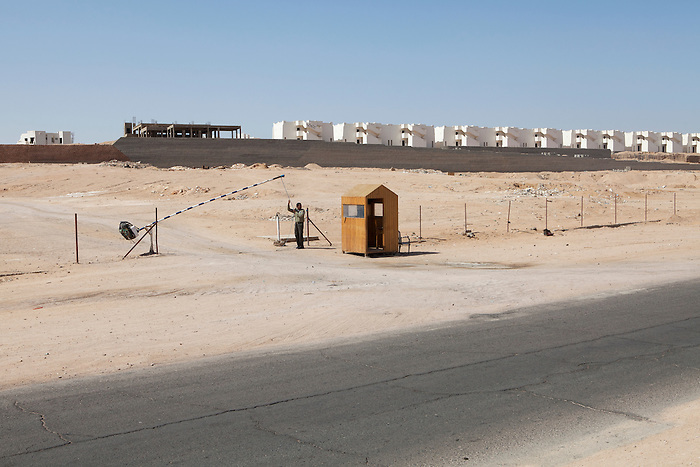 Sharm el Sheikh, Sinai, February 2015. A security guard is checking all entrances and exits of the Novotel site. On most touristic spots, a strong selling argument lies in the number of security guards involved. Each hotel, each fun park has a tight system of controlling who goes in and who comes out.